You're probably here to learn a little bit about me so let me start with the basics! al pastor tacos that will melt your soul!! Its kind of a sketchy but don't worry... if you need a friend I will totally go with you! I spend most of my nights editing on my computer in my fuzzy unicorn slippers, yoga pants, and my pit pups curled up by my side. I found the love of my life down in Ocean City Maryland while racing around in cars. Yes, that's another obsession of mine. You'll typically find me at the race track on the weekends, or drifting around with my boyfriend causing mayhem. We build cars, break cars, and build them again! He has been awesome in supporting me and my business. Plus he's totally my taco eating partner, so I couldn't live without him! I picked up my first camera almost 10 years ago! The leather was so worn down, and the strap was frayed down to it's last fiber, but it just felt right. I started with film and developing my images in a dark room. I learned everything I could from my awesome older sister, and eventually transitioned from that old-fashioned film camera to a more modern Nikon. I started with Engagements & Weddings and completely fell in love with boudoir about 8 years ago after one of brides wanted to surprise her husband with a book for their wedding. We stole all of her fiancés fire fighting gear and shot in the spare bedroom of my ghetto little house. I'll never forget the morning of the wedding when we gave him the book. We planned to hand it to him at the first look. I set him up under a tree alone where he was waiting patiently for her to come sneak up behind him. Little did he know, she had other plans. I pulled the little leather book out of my bag and handed it to him as she hid behind a nearby tree. He tried to make a joke and act all tough until he opened the first page. His eyes got wide, and his smile dropped. He looked at this book in complete silence.... before I knew it he hit the page where she was in his fire gear. He started balling!!! He looked up at me with tears in his eyes asking when this had happened without him realizing his gear was gone, I couldn't help but laugh and just say , "Keep looking! There's more!" I nodded towards the bride and signaled her to start walking towards him. He turned to the last page where she was in nothing but his fire hat, at the same time her hand touched his shoulder, and he lost it. He dropped to his knees and they just held each other. I was crying the whole time!! I couldn't stop. My camera was so foggy from the tears. I never experienced something like this before, and I've never been apart of something to moving in all my life. That was the day I realized boudoir was more than just a pretty picture. It was an empowering experience and a gift unlike any other. It was showing your partner a new side of you and showing a confidence we lack in every day activities or lose over time. She cried and told me she found herself that day and learned to love her body, and he was just so happy that she finally saw herself the way he had always seen in her. Let's just say, from that day on, I was hooked! Starting out in a demanding industry at the young age of 18 was exciting and eye opening. I was fortunate to work as a second shooter with many other photographers, under whose guidance I was able to learn the fundamentals of traditional photography. But I learned pretty quickly that I wanted to break the rules of traditional stiff photography. I loved rolling around in the grass and being goofy with my couples. I would tell my awesome dad jokes just to get natural laughs. I’ve noticed that sometimes photographers focus too much on perfectly creating an image rather than capturing the moment – and all the emotion and drama it contains. I love to focus on the shadows and depths of each photo to create drama. Since 2014, I have run my own business. After working for a large company, I decided I needed something new. I wanted to have that small business that made you feel at home. I wanted to make art again. I wanted to eat tacos at home in my jammies while I edit, instead of being in a windowless office surrounded by cubicles. I wanted to create a friendship with my clients, instead of just a business transaction. SO, on January 1st 2018, I opened the doors to my first official studio. By March 2018, I was published in my second magazine and I wouldn't trade it for the world. I have changed so many lives, and I truly enjoy working with so many beautiful women. I quit my full time job by that November and have been chasing my dreams ever since. By March 2019 I was nominated for Best Photographer in Connecticut by the Hartford Courant and am currently a top 3 finalist out of hundreds of photographers!! 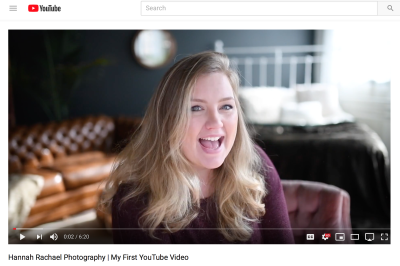 I started a Youtube Channel so clients could already feel like they knew me before even walking into my studio. I'll be sure to keep you all up to date on here and through out social media! Now, I am exclusively into boudoir photography and only take on a few weddings every year with select couples. I have turned my boudoirs into a luxurious experience you'll never forget! We pop some bubbly, pamper you to your favorite tunes, and treat you like the goddess you are. The experience is all about you and helping you fall in love with yourself all over again! Let me know when you're ready. I'd love to meet you! This is a private group for LADIES ONLY who have done or want to do a boudoir shoot. I wanted to create a safe and private place to talk, ask questions, share, and of course encourage each other to love themselves so they too can feel empowered!! !